Launch Microsoft Excel, open the PowerPivot tab and click Manage. 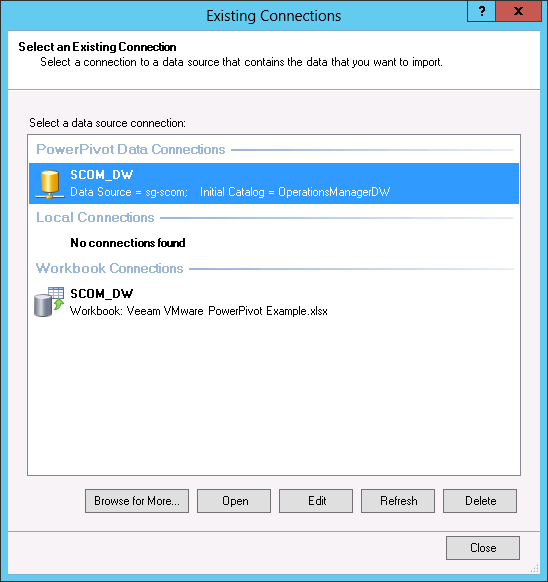 In the PowerPivot For Excel window, switch to the Home tab and click Existing Connections. 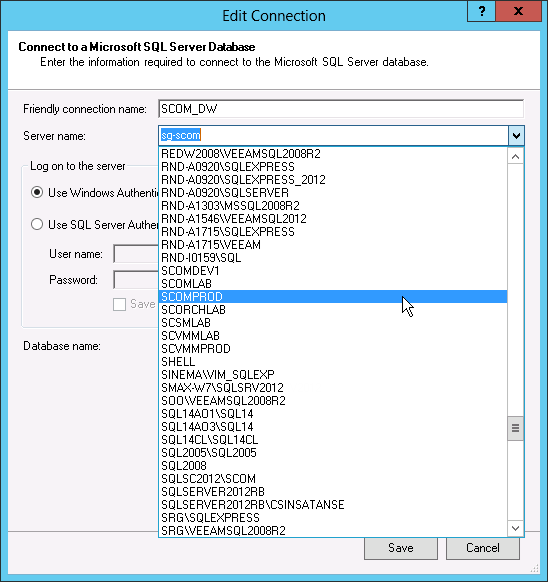 In the Existing Connections window, select the SCOM_DW data source and click Edit. 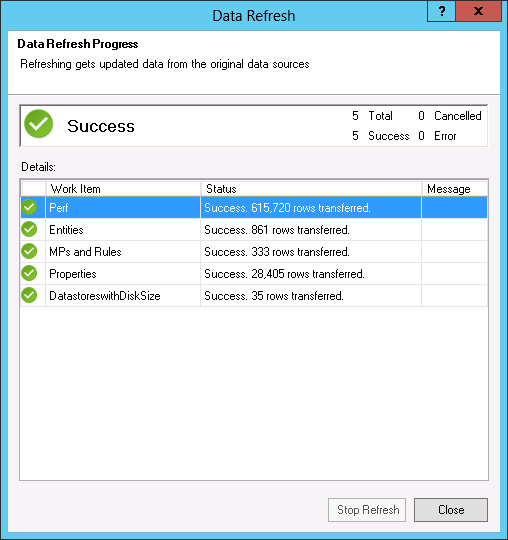 In the Edit Connection window, expand the Server name drop-down list and choose your server which hosts Data Warehouse. Click Test Connection, wait for the connection to be tested, click OK and then click Save. On the Home tab, click Refresh > Refresh All, wait for the new data to be retrieved and click Close. 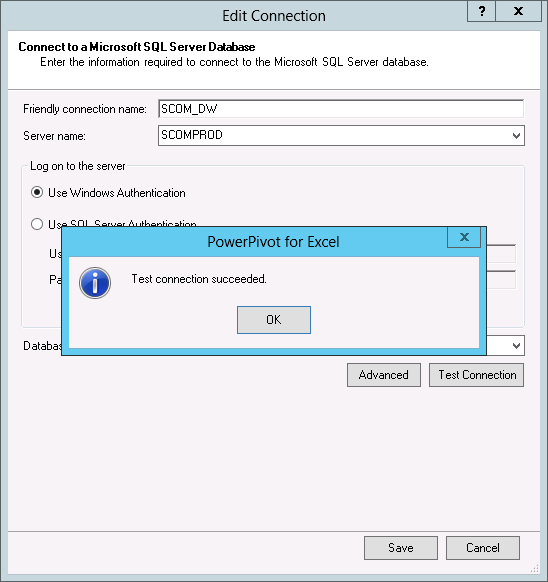 Close the PowerPivot For Excel window.